We offer Raleigh, Cary, and Wake Forest residents HVAC Maintenance Service Plans. Twice a year maintenance of your heating and cooling system is ideal. We will come to your home once in the Fall to prepare your HVAC unit or furnace for the heating season. We will then come again in the Spring to ensure your Air Conditioner and whole HVAC system are ready for the hot Raleigh weather. While we will come twice a year to inspect your HVAC equipment, you will be charged only once a year. Your yearly fee will be $225 per Heating or Air Conditioning unit per year. 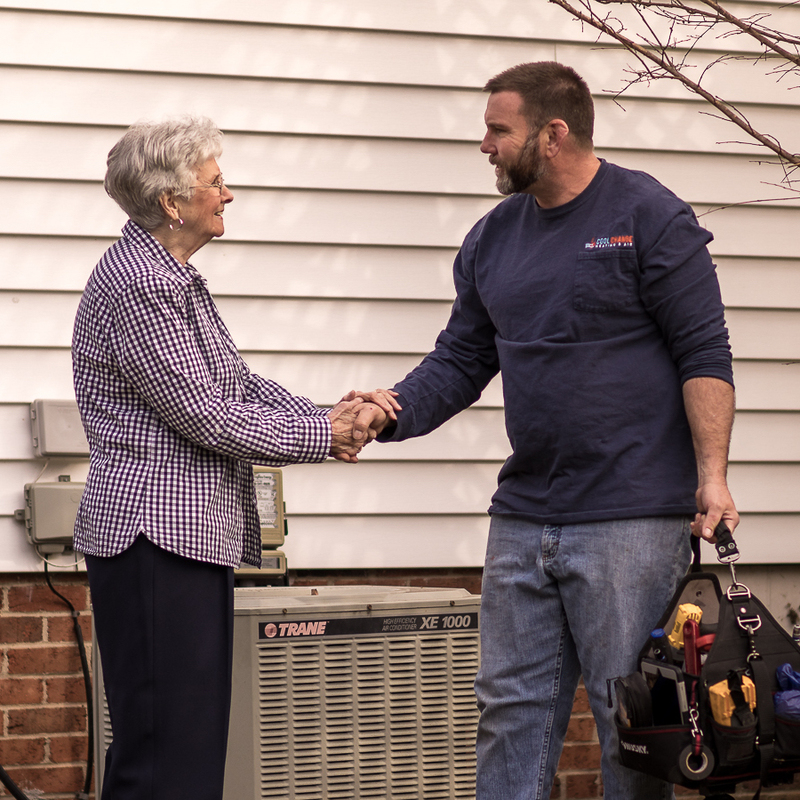 A Raleigh HVAC Maintenance service agreement with Cool Change Heating & Air Conditioning will give you the peace of mind to know that your furnace and air conditioner are operating at optimum efficiency and will continue to perform season after season. Cool Change has been servicing my AC and furnace for a number of years now for simple preventive maintenance. JD Anderson is a trustworthy and honest individual whom I would recommend to anyone in the Raleigh area. Top quality work and very reasonable prices. We provide Air Conditioning maintenance and Heating maintenance all over the greater Raleigh, NC, Cary, NC, and Wake Forest, NC areas. Please note that if you need repairs immediately, your fastest response time will be via phone. Call or text us at 919-457-2494.